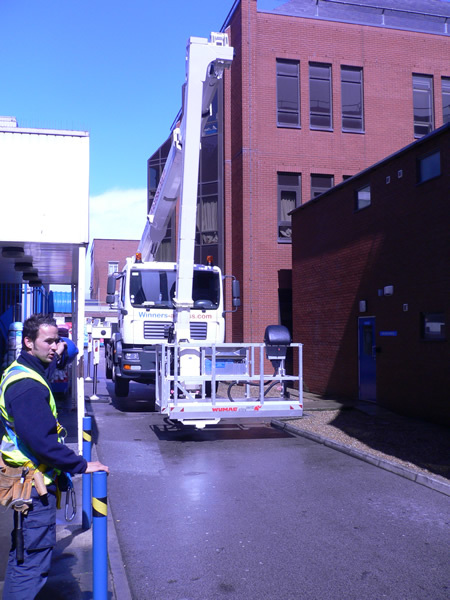 Large high gain digital aerial being installed at St James Hospital, Leeds for Patient Line UK. 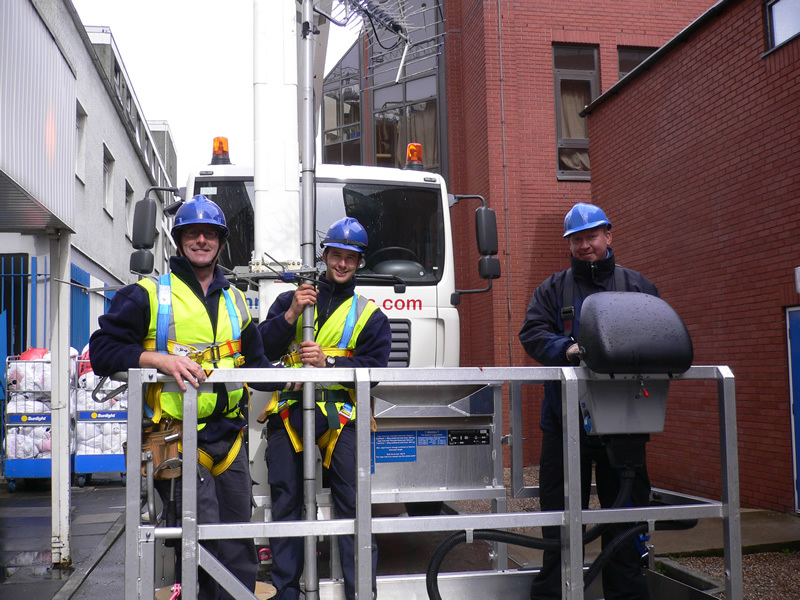 John & Rob with Personal Protection Equipment being lifted in position by Access Lift platform, due to building being 7 stories high. 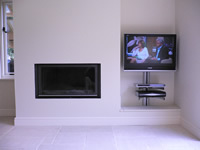 MOD installation at Allanbrook Barracks, North Yorks. 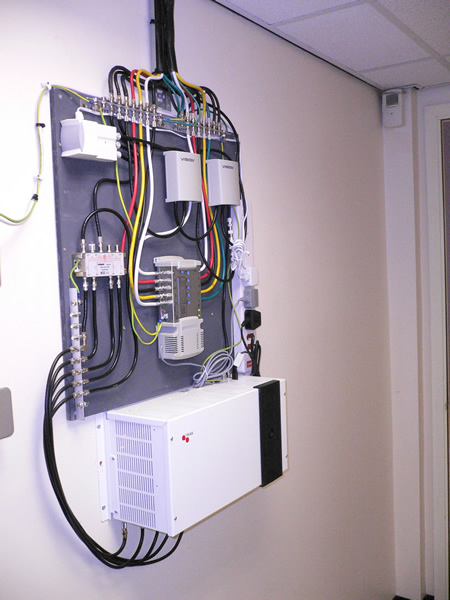 472 outlet fed from 8 Multiswitch systems, this configuration feeds to each outlet point. 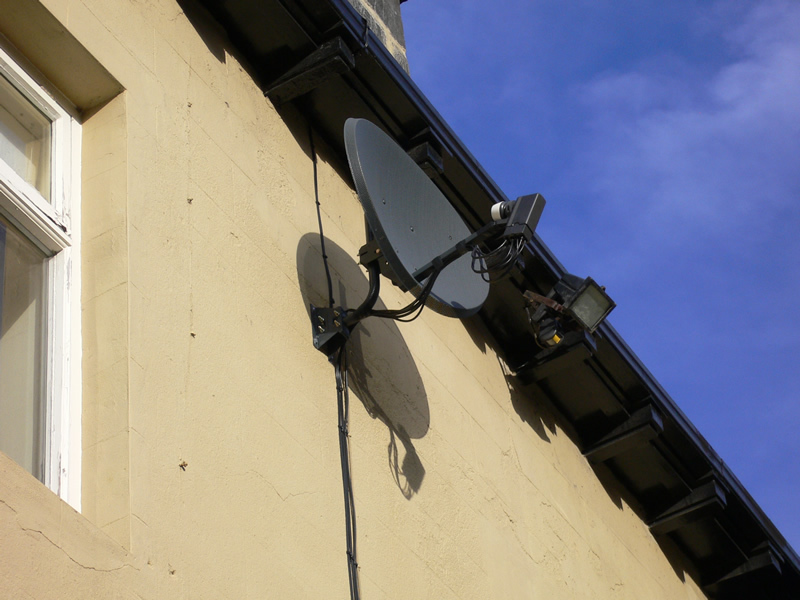 6 fixed channels of digital converted into analogue signals using Triax Head End (this will allow existing analogue tvs to still work after switch over). 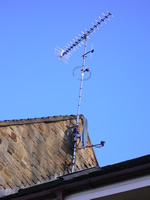 Terrestrial digital signals for freeview boxes or digital TVs satellite dishes signals to run Sky boxes. 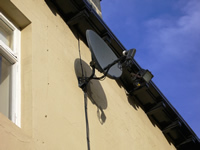 Dish and Aerial feeding large multi switch units at Allan Brook Barracks. 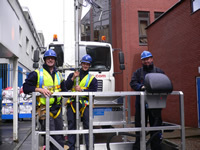 Aerial & Dish feeding Head End System at York Hotel. Plasma installation showing cables being installed into the wall and finished ready to paint. 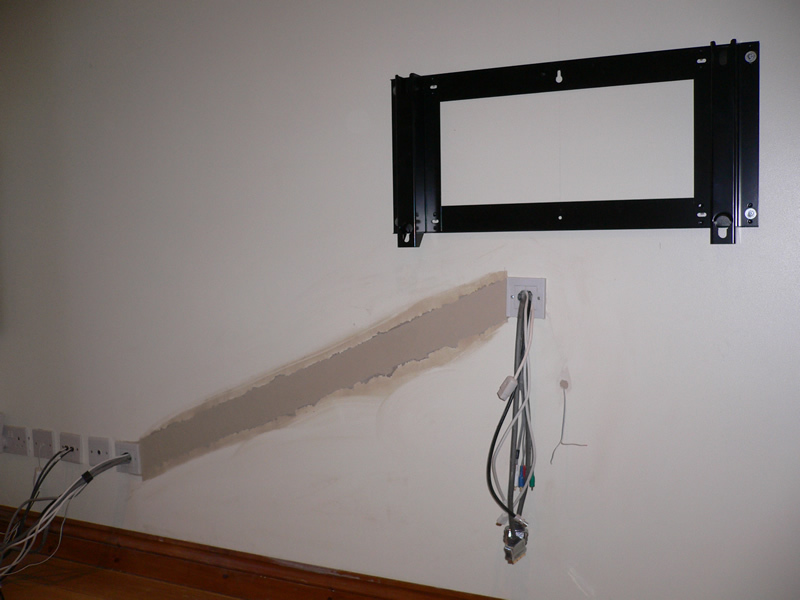 $ LCD installation for @Panasonic shop at customers house. High Birstwith, Harrogate. 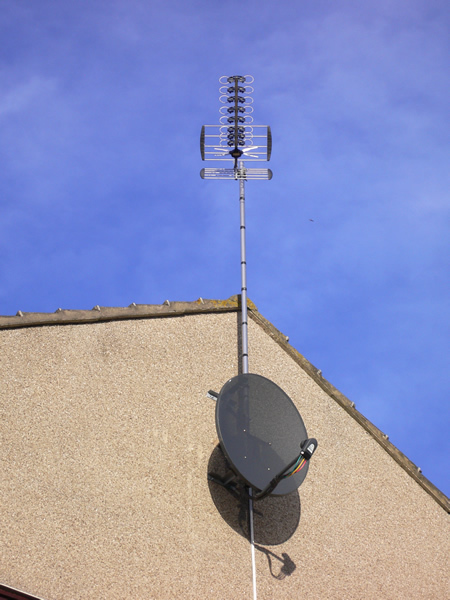 Extra High Gain Aerial, FM & DAB mounted on same mast, 80cm Sky dish with Quottro LND, feeding 16 way multi-switch, giving 8 flats digital TV, Radio and Sky+. 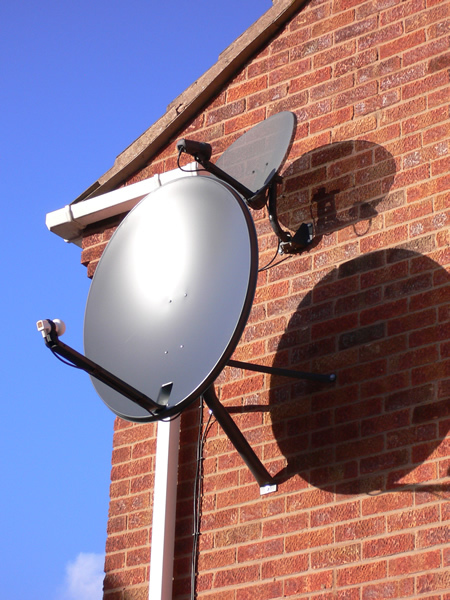 Large 80cm dish fitted for European Satellite, Astra 19. Domestic job in Ripon. 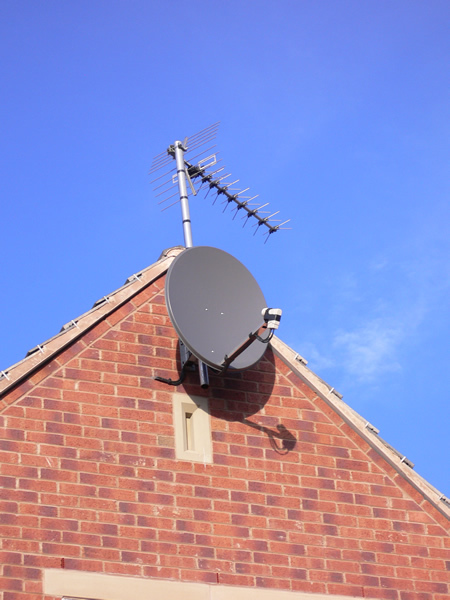 Sky 60cm dish with 8 outlet LNB, feeding 4 sky receivers 2 x Sky+, 1 x Sky HD, 1 x Sky in a large residential house. 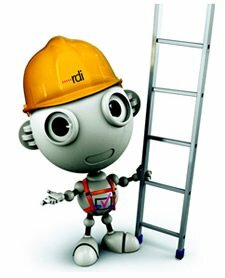 Queens Rd, Harrogate.